FAQ & About Us - AppMet, Inc.
AppMet, Inc. is a North Charleston, South Carolina based calibration/testing company. In addition to offering dimensional, Physical and electrical calibration services in our climate-controlled laboratories, we also conduct convenient on-site calibrations. Since 1993, we’ve proudly utilized the principles of continuous improvement to ensure that our military trained metrology technicians; state-of-the-art testing equipment; environmentally controlled, full service laboratories; convenient on-site testing; faster-than-standard turnaround times and customer service consultants are among the best in our industry. And as technological demands change, so do our capabilities. Today our laboratories are staffed with highly trained experts and the calibration capabilities to meet the needs of virtually any business or industry, such as automotive, aerospace, manufacturing, biotech, high tech, medical and nuclear. What is the difference between an accredited calibration and a standard traceable calibration? Our accreditation covers specific areas of metrology that have been assessed by an accrediting body. 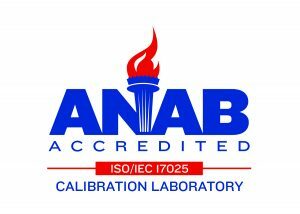 These accredited calibrations come with a certificate of calibration and measurement of uncertainty, and demand that higher quality systems and standards are applied. Unlike accredited calibrations, measurement uncertainty is not provided with standard calibrations. Our customers receive first class metrology services and enjoy peace of mind knowing that our measurements are traceable to NIST and other international standards. Does data come with a certificate of calibration? Yes. We provide before, and after data, where applicable, on certificates of calibration. Yes. All AppMet Sources are traceable to NIST and other international standards. What types of calibration services does Appmet offer? For your convenience we can perform many calibrations on-site at your facility. You may also bring or send your equipment into our environmentally controlled laboratories at AppMet, Inc. If you would like to know more about our capabilities click here to send us a message. How can I setup an on-site calibration? Call our customer service department at 843-767-5664 or 800-608-5570. Alternatively you can click here to send a detailed message of what you need done. How do I schedule a laboratory calibration? Scheduling is on required for expedited services. For information and or quotes call our customer service department at 843-767-5664 or 800-608-5570 or you can click here to send us a message. Appmet is committed to offering our customers the most convenient calibration services anywhere, that’s why we test as much equipment as possible at our customers’ location. However, certain instruments must be calibrated in our clime controlled laboratories. Therefore, after we receive a list of your equipment we will determine what can be tested at your facility and/or yours. Will I be advised of repair cost beforehand? Yes, Appmet’s customer service consultants will provide you with costs once the unit have been evaluated. Evaluation charges will apply. What is the turn around time for calibrations? Our standard turn around time is 5 working days, but that can sometimes change when our work volume peaks. You can call customer service at 873-767-5664 or 800-608-5570 to get a more accurate time schedule. Yes. We understand when our customers are under a deadline pressures and offer even faster calibration services in these instances. If you would like to schedule an expedited calibration please call our customer service department at 873-767-5664 or 800-608-5570 and they will be happy to assist you. (Please note: Because of the urgent nature and earlier deadline, these calibrations must be scheduled in advance). Do you require RMA numbers? No. RMA numbers are not required. Net 30 with approved credit. Any invoices not paid within 60 days may be subject to a finance charge. Mastercard, Visa and American Express are also excepted. Yes. If you would like more information or would like to schedule a pickup click here to send us a detailed message or call our customer service department at 873-767-5664 or 800-608-5570 and they will be happy to answer all of your pricing and delivery questions and get you on the schedule quickly. Will you remind me when my equipment is due for calibration? Yes. As a service to our customers, we maintain a recall schedule of your equipment and will send you a reminder approximately one month prior to your calibration due date. This will give you time to schedule your calibration. Who determines the calibration cycle? Our clients select their equipment cycle. If they do not or cannot provide one we can provide a certificate without any recommended cycle. The cycle should be based on the instruments accuracy, sensitivity, usage environment, and the risks involved with their use, which only our clients can properly evaluate. What if I lose the certificate of calibration? No problem. If you lose the certificate simply call us at 843-767-5664, Email us at service@appmet.com with the request or fill our the contact form and we will email your certificates promptly. Click here to as us a question.